Hello, I would like to introduce myself as an experienced costume design and making graduate. A driven, positive and competent individual with a strong genuine interest in the Arts.The sense of magic and characterisation applied within costume is the fundamental reason why I enjoy working in this industry. 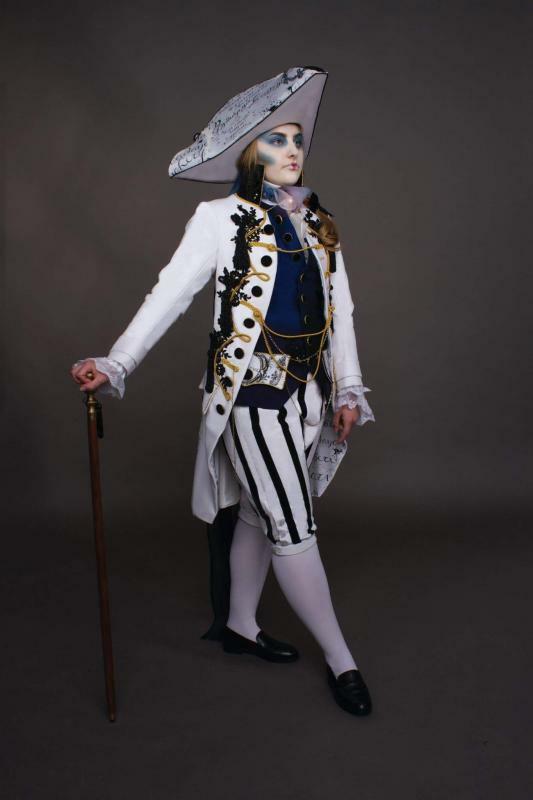 Through university and freelance work, I have had the opportunity to work with a range of specialist professionals forming a depth of knowledge in a range of costume disciplines. Including tailoring, corsetry, tu-tu making, millinery, headdress making, wig maintenance and styling, breaking down and dyeing. Which have all given me experience with working with a variety of fashion periods. Experience so far has inspired me to pursue this exciting and rewarding career path. Pattern cutting techniques historical and contemporary male and female. Experienced on Domestic and Industrial Machines including overlockers /flatbeds.With stretch, light and heavy weight fabrics. Creative design and illustration / technical drawing . Sourcing of materials and costumes. Experience with dying and breaking down . Conducting fittings and alterations / repairing. Precise hand sewing/ and exploration with fabrics. Good customer service skills / ability to work as a team. Effective time management, and ability to work under pressure for deadlines. ‘I have had the great pleasure of teaching and working with Laura Leathley, for the last two years of her degree in Costume Design and Making. She has been an exceptional student, talented designer and maker. I cannot praise her work too highly– her designs are inspiring for the costume maker and her execution of her costumes are exciting and very creative. I know you can rely on her to finish her costumes on time and to a very professional standard. I have taught design and costume making for many years at Wimbledon School of Art, London School of Fashion, Royal Central School of Speech of Drama and Laura is one of my most talented students. I know whether she chooses design, making, or both, she will be successful. Her work is very mature. I 'am pleased to have worked with her and look forward to seeing her name on a Theatre program, Film or Television production in the future. I wish her well in her career’.